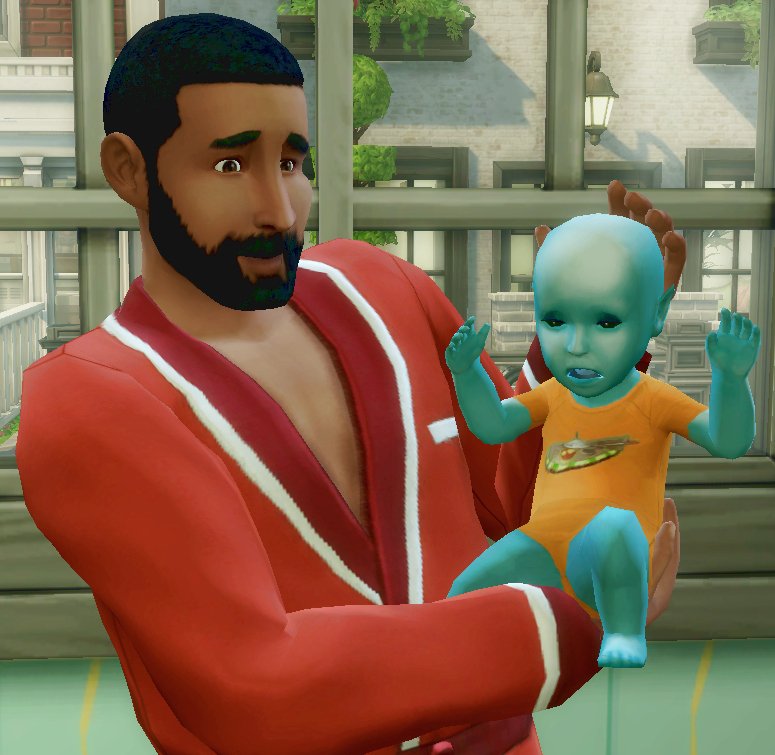 Since toddlers came out, I've found myself starting a few families in The Sims 4 to absorb the cuteness, which unfortunately involves having babies first. And if you have gathered much about me so far, you'll guess that it definitely involves alien babies. Their little spacesuits were cute at first, but the contrast between the colourful little alien tots and their uniform black outfits was a little much after a while, not to mention how odd it was that babies born on SimEarth had space clothes on.. Once I started fiddling with the texture, I realised that EA had also been extra lazy and given babies teeth (!) and not even had the courtesy to colour in their mouths! No more, I say! Their teeth have been replaced by good old-fashioned infant gums, and their mouth parts have been coloured in, all in the same blue tones as my last mod . I recommend MenaceMan's default replacement alien eyes (also using the same texture) if you want their parents to match. Each of the five alien baby colours (violet, purple, lavender, blue and green) has their own outfit colour, in five bright, stylish colours. 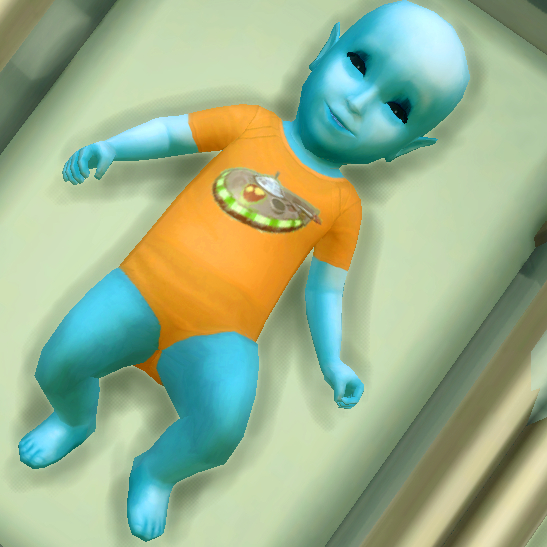 And just in case you forget your technicolor baby is an alien, there's a cute little UFO print (ripped from pyjamas in The Sims 2) on the jumpsuits. The weird shine effect has also been removed, and the normal map has been replaced with the one human babies use. 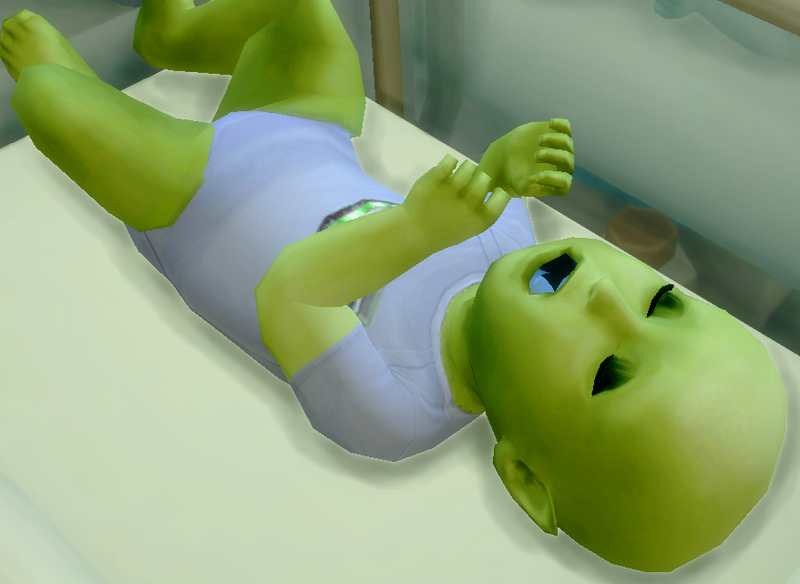 As a bonus, I've included a set of replacements to complement my alien skin mod ; simply take which babies you want to be replaced with the Sims 2 style green texture, or get them all in a single package. 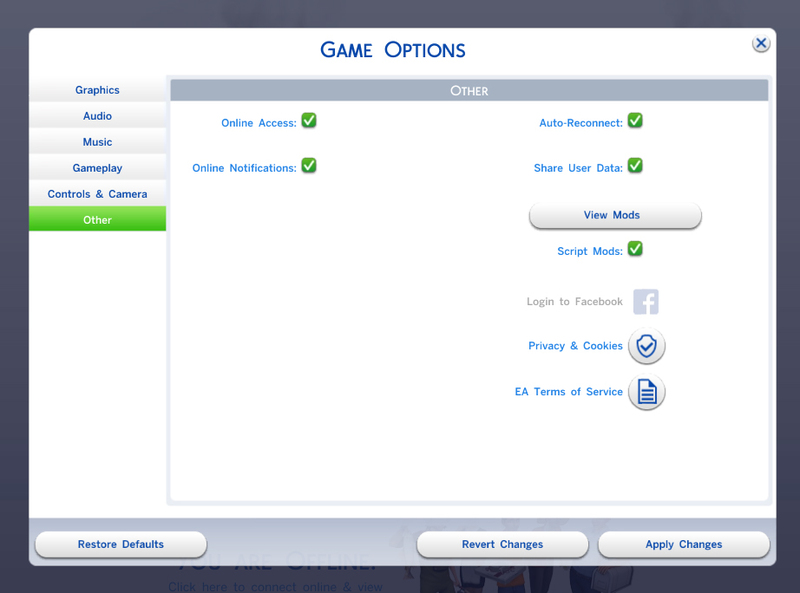 Each of the five TS2-style textures comes in a different outfit colour, matching the original skintone they're replacing. You will need to redownload my alien skin default replacement if you intend on using these together, as I've recently updated them to separate the baby replacements (with spacesuits) included there - if you use the old version of that mod together with this one, the spacesuit babies will override the Earth clothes ones. MTS, as always, for being gracious hosts.